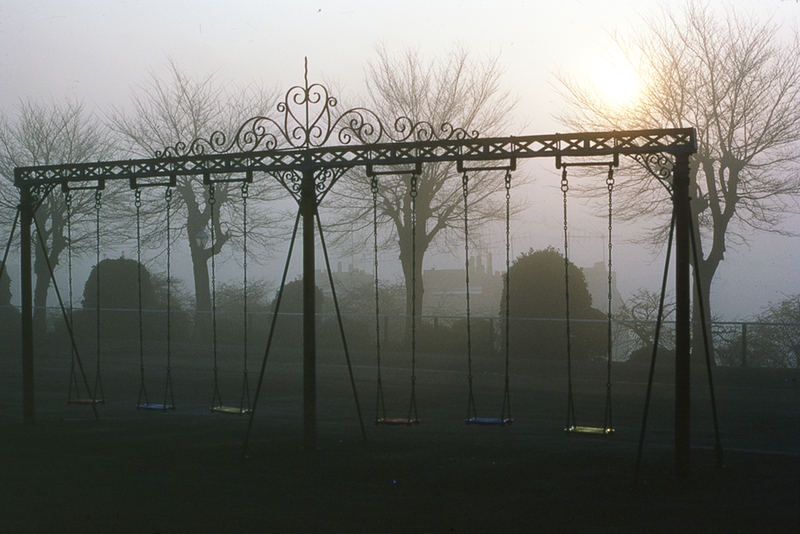 Caught on a misty morning in March 1971 (the slide holder has the date of processing) and I can be even more specific, it was a Saturday morning and I had borrowed the lab's new Pentax 35mm to try it out. These swings were on Dudhope Terrace in Dundee not far from where I worked and close enough to the Royal Infirmary to see its roofs and chimneys. 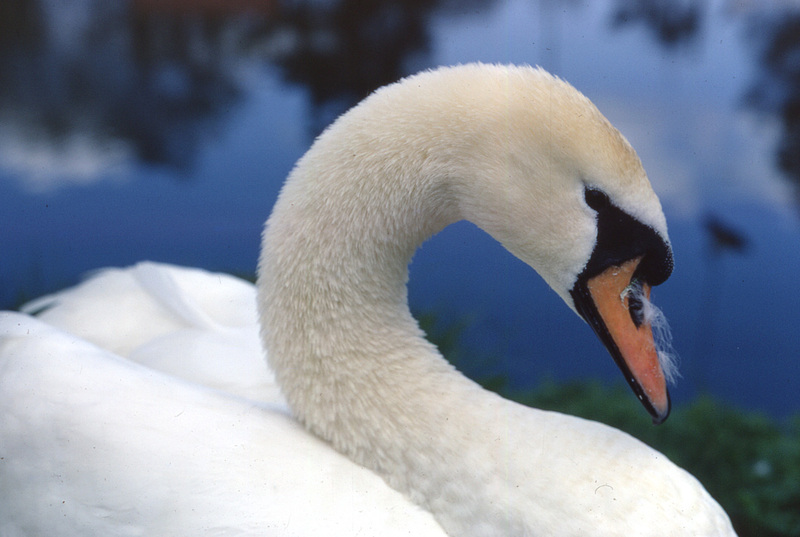 My best ever shot of a swan and a tribute to the colour saturation of Kodachrome. This slide was stamped May 1971 and was taken at Baldovie Pond. I would be amazed if the pond still existed. 42 years ago development around that end of the city had yet to begin but there were ominous 'sticks in the ground'. It would not be long before the bulldozers moved in. I hope the swan begat many generations. 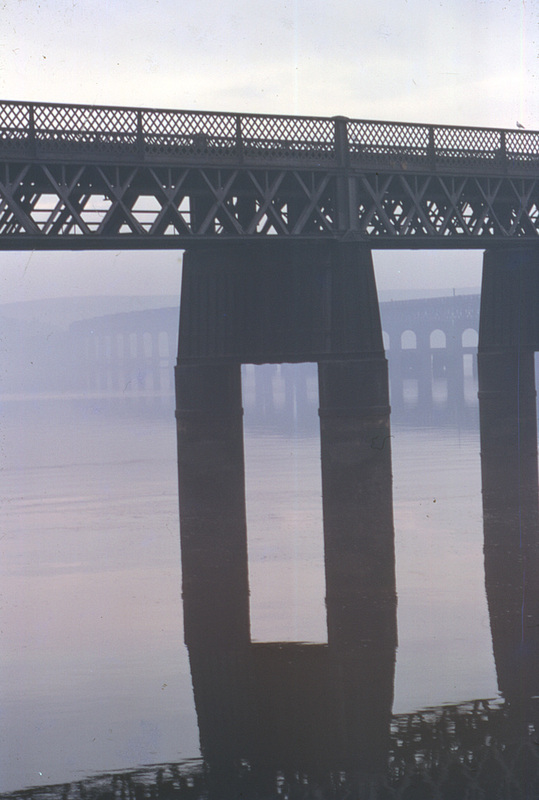 From the same film roll, a view of the unmistakable piers of the Tay Railway Bridge as it heads out over the river. To all Dundonians the Tay Bridge has always been there, a familiar sight from anywhere on the riverside and from the heights of the City. This of course is the second bridge, the first one having been blown down in a storm on 28th December 1879 with the loss of 75 lives. An error in calculations meant that the original structure was not capable of surviving the most powerful winds that blew down the river. The original piers are still visible running parallel to the newer ones. After crossing the river the bridge makes landfall at the small town of Wormit where the line used to divide. One branch went to Newport and Tayport, the other carried on through Fife to Edinburgh and beyond.